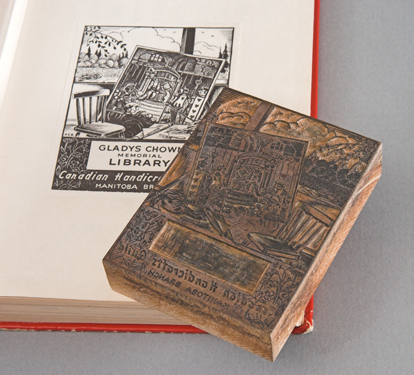 In 1948 Gladys Chown, President of the Crafts Guild of Manitoba, died while in office. As a memorial to her, the members established the Gladys Chown Memorial Fund and named the library in her honour. 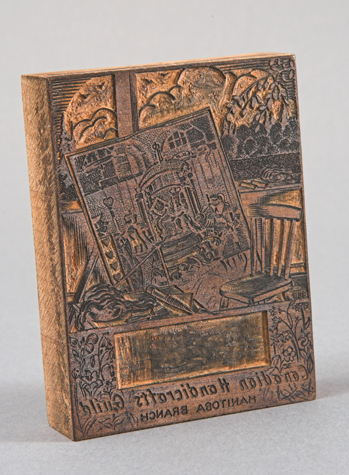 This bookplate, used to make labels with the Gladys Chown Memorial Library name, was designed by Eric Bergman, a Manitoba printmaker and a Guild supporter.